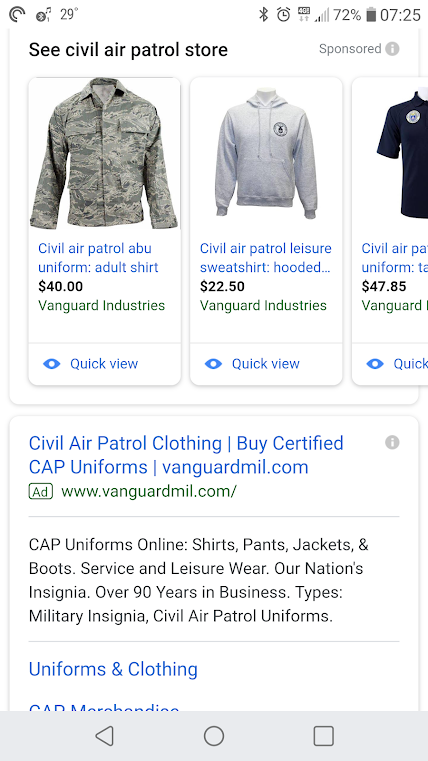 When you buy uniforms from AAFES Military Clothing Sales they are "Certified" to meet Air Force standards and specifications. With the ABU, only the ones you buy at the MCSS are "certified". You're on your own if you buy them elsewhere. spec to meet beyond "looks OK, sorta, kinda pink though", it doesn't mean much. Has this changed in the last 6 months or so? The last ones I saw from VG were no-name knock-offs from Rhodesia with color issues. No mil-spec tags, just "made in". I also don't see the ABU pattern in the Tru-Spec inventory. Now, they may entirely be knock-off (i.e., lies). No idea. As you said, TRU-SPEC doesn't sell ABUs on their website. Just to be technical, TRU-SPEC is a clothing brand, not an actual specification to military standard or defense supply. I'm not sure the level of quality control that verifies that they're actually designing and producing to mil-spec versus "close enough," despite what they market themselves as. I wonder if this is Tru-Spec making them exclusively for VG.